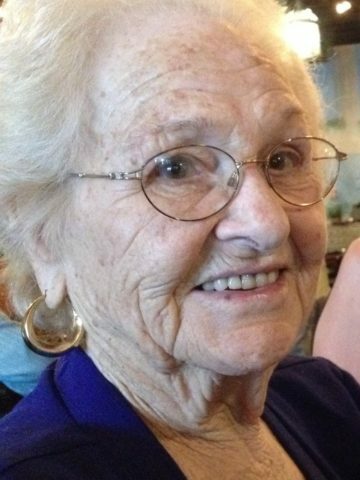 Addie Nell Noffsinger, a long-time resident of the Nashville area, died Thursday the 3rd of May 2018 at Alive Hospice in Nashville following a short illness. Nell was 90 years old. Born June 13, 1927 in Muhlenberg County, KY. to parents Matthew Harrison Neal (1893 – 1957) and Ida Mae Nelson Neal (1890 – 1979), Nell married the love of her life, Norman J Noffsinger (1925 – 2004) on the 26th of July, 1943. Nell is survived by her sister, Mae Logsdon, 86 of Muhlenberg County, KY, her four children; Sundra Mitchell (Phillip), Nashville, TN; Samuel (Diana Logan), Fort Worth, TX; Norman (Marilyn Windle), Mount Juliet, TN; and Debbie Hayes (Dorman), Overland Park, KS; twelve grandchildren, twenty four great grandchildren, and 1 great-great grandchild and another great-great grandchild expected in September. She was a loving and devoted wife, mother, grandmother, great grandmother, great-great grandmother, aunt, sister, daughter, cousin and friend to all. She loved cooking, sewing, quilting, camping and working in the garden. She especially loved being with her family and watching University of Tennessee football. She loved her trips to Florida with Norman every winter and the time they spent living in the Smoky Mountains of Tennessee. If you wanted to taste a good Red Velvet cake she would have been the one to bake it. We will all dearly miss her. Pallbearers: Rick Mitchell, Chris Mitchell, David Noffsinger, Bill Noffsinger, Jay Noffsinger, Brandon Hayes, Patrick Noffsinger, and Ryan Noffsinger. So sorry to hear of Mrs. Noffsinger’s passing. She was such a seet, dear woman that I enjoyed spending time with. My sincere condolences to the family.